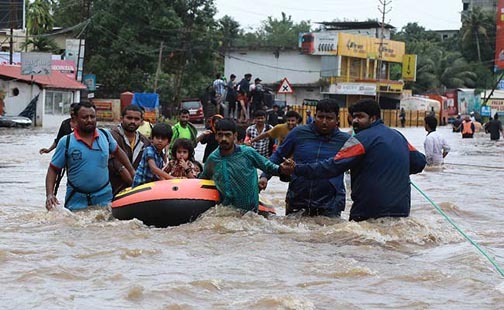 The West Tripura district committee of the Communist Party of India-Marxist (CPI-M) has decided to lend a helping hand to the flood victims of Kerala and in order to support the flood-affected people of Kerala, the party has started collecting money. Former Tripura Chief Minister and currently the Opposition leader Manik Sarkar along with MP Sankar Prashad Datta, former Minister and Ex-Deputy Speaker Pabitra Kar and several other leaders and cadres of the party took part in fund collection in Agartala. The CPI-M workers started this initiative a day after the Tripura’s ruling Bharatiya Janata Party-Indigenous People’s Front of Tripura (BJP-IPFT) Government declared to donate a sum of Rs 1 crore a a relief for the flood affected people of Kerala.